What is your day to day diet? It looks like you would have raced heavier than you usually are if it weren't for the flu. Do you think this was just from decreased overall volume? Or did you just eat more? Also, you say that you will get your run volume up to 80-100mpw for Ultraman Hawaii. 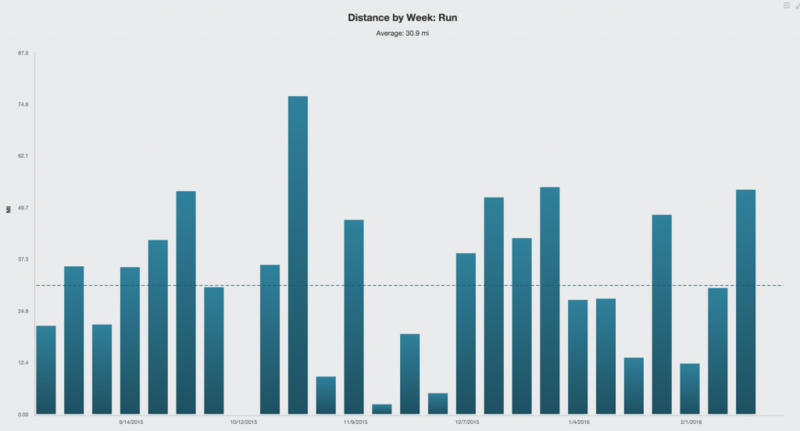 What pace will you be running most of the runs at? What is your easy pace now and will your slow it down more once you hit this volume? How much. I used to be quite strict on day-to-day, but these days, especially with higher volume weeks, I just eat a good "base" i.e. veggies and highly nutritious foods, and then whatever else I feel like. Ice cream, glass of red wine most nights, not really restrictive. For some reason it seems to not make much difference i.e. I don't gain higher than about 78kg if I eat like that, and I always have energy to train. My approach with the high run volume is to first go for volume and ignore pace - most long runs will be 8:20-8:40 pace but that's just what it is, I don't aim for that. Then I do 1 or 2 tempo runs, 10 miles or less with a few miles around 7:00-7:30 pace. My approach for hawaii will be to build up the volume, then incorporate more and more of that volume at around 7:15 pace. Then one session per week much faster like low 6's. While all of that is going on, though, I'll try to be very in tune with how my body is feeling and reacting. For me, too much volume at a fast pace is a recipe for injury. Did you "become" an ultraman? Can you feel it happening? Is there a glow or flash of light? Nobody shouted "you are an ultraman" when I crossed the line... Because of that I'm not sure any of it really happened at all! Do you think I can get a U-dot tattoo? Thanks for taking time to answer questions, very generous of you. I'm hoping to get into Utlraman Florida for my 40th birthday in a couple years. Do you know how many people actually enter to participate? My understanding is they take 40 racers. What did you do to recover each night of the event, any ice baths? yes they take 40 entrants - you need to submit a race resume - but as long as you've an Iron distance event and ideally some other endurance stuff, you will be good. In this year's contingent, there were many people who had done epic things. One guy did 7 marathons in 7 days on 7 continents (this was the guy that challenged me for the win, you can imagine that during the run, the fact that he was so experienced at ultra running convinced me that he would not make a mistake, and I was right!). That guy also did Norseman. Another guy did 7 Ironmans in 7 days in the canarys. A few RAAM people. For recovery, I focused on eating a lot during each stage and after. After day 1 I drank 2 x ensure and a whole bowl of rice mixed with condensed milk (must have been 1500 calories or so). We had a 45 minute drive back to the hotel, and I just sat in the back of the Dimond Van in my normatec boots. When we got back, I ate more and then sat in the hot tub for a long time. I also did baths with epsom salts. I didn't do any ice baths, mainly because I wasn't sore at all (until after the run anyway). Most other athletes did do ice baths. Congrats on the win! I was fortunate enough to race in the inaugural Ultraman Florida back in 2014 and it is hands down one of my favorite races ever! I think i read somewhere you are racing worlds in hawaii this year? If so best of luck as well! Thanks yes Hawaii is the main goal this year. I'm excited to be able to train in summer for that! Hey Rob, fascinating answers and really motivational. You mentioned spending time on the trainer, is that on the Dimond? If so, I was under the impression that it voids the warranty...one of the main reasons I haven't seriously considered the bike myself, as I do a big chunk of my bike training inside. I'd say I probably spend more time on the KICKR. As I get more skilled on the rollers, I see myself spending a lot more time on them. You did say "ask me anything". I have no idea... But if all that is true then I'm glad I beat him by over 4 hours! I just hope he did the whole course this time. How much bike and run climbing on this course vs Hawaii? Heat and humidity in Florida and if it affected you at all coming out of Colorado winter? Did coming down from altitude help the swim....I would imagine "yes"
Without giving away your tactics for Hawaii, do you think you will to ride "harder" to have more of a gap to the really fast runners who can run around 7 hours. On the run execution and the miles 32 to 52, did those last 20 miles feel like the perceived exertion of running a 10K, except it went on for 3 hours? How much time do you think your organs need to recoup from this? I cannot speak to the circumstances leading up to Mark being accepted into the 2016 race, but below is the announcement regarding his ban. I hope it clarifies things for people. Just pulling out the facts... He was banned in Australia only. He most definitely could have raced outside of Australia during his ban and his ban expired in January of 2016. Under the Triathlon Australia Member Protection Policy, Western Australia triathlete Mark Robson has been suspended from annual and one day membership of Triathlon Australia for a period of two years. Mr Robson engaged in deliberate and pre-meditated actions to gain an unfair advantage in the 2013 IRONMAN 70.3 Busselton event. On the balance of probabilities Mr Robson engaged in deliberate and pre-meditated actions to gain an unfair advantage in other significant triathlon events identified between 2011 and 2013. Mr Robsons suspension commenced on 9 January 2014 and will conclude on 8 January 2016. During this time, he is ineligible for both annual and one day membership of Triathlon Australia. He has also been retrospectively disqualified from the four events identified and he is required to return any awards or prizes won at these races. How much bike and run climbing on this course vs Hawaii? More climbing in Hawaii on the bike but the course is 6 miles shorter, I need to investigate the run but Hawaii certainly has the long downhill from Hawi. Florida was very hilly to start with. There is a climb called Sugarloaf on the day 2 bike in Florida, that when described by the locals had me in fear. When I got to that hill I was like... "seriously? people are worried about this bump"
How much wind in Florida vs what one can expect in Hawaii. Day 1 was as much or more wind as Hawaii. Florida is the luck of the draw, whereas Hawaii wind is a near certainty. I guess there is maybe some protection from wind on the climb to Volcanoes and on the Hilo side. Hawaii there will also be less traffic. A windy course on a highway with huge trucks flying past, is pretty taxing. Without giving away your tactics for Hawaii, do you think you will to ride "harder" to have more of a gap to the really fast runners who can run around 7 hours. I haven't decided yet. Riding easy certainly helped me to ride harder on day 2. I guess I'll see what happens on the swim. If I have to make up a deficit I'll ride harder than if I'm first out of the water again. Are there some things you can do with your crew to streamline logistics to make sure the gap is larger after the bike legs (I would imagine there are many places to gain 15-30 seconds around 10-20x per day related to logistics alone). Given that I was a rookie and my crew was a first time UM crew, I'm surprised at how we nailed everything so well. I can't think of any way we could have gained more time, other than having someone hack the stop lights! I sat at stop lights for a total of maybe 15 minutes on day 1. Do you think you can swim faster in the ocean with the buoyancy, or do you think it will be a wash given potential for currents. Kona is very conditions dependent. I'd say I'll either be much faster or much slower. Unlikely the same as UMFL. Do you plan to increase training volume or largely keep it the same (I think we better check with Michelle on that one anyway, so maybe we should ask her, because given an infinite ceiling, you'll be training 110 hours per week and sleeping 58) Increase for sure. I'd like to have several months of 30k per week swim, and several "mini training camps" of 15-20 hours biking per week. From the run point of view, I think just average IM mileage maybe 40-50 miles per week, but faster, could be beneficial. I can't afford to run Hawaii at 9:00/mile. On the run execution and the miles 32 to 52, did those last 20 miles feel like the perceived exertion of running a 10K, except it went on for 3 hours? It felt worse than a 10k because my quads were crying out. A 10K is a difficult cardiovascular effort, this was a much harder physical (muscular effort). And the mental focus it required was unlike any other type of racing I've done. How much time do you think your organs need to recoup from this? My liver will recover fast, since I was not able to drink any alcohol. My heart rate was pretty low across all the days. My lungs didn't work much. My kidneys are probably the things that worked the hardest. I don't know, I should have a blood test to see what's going on internally. 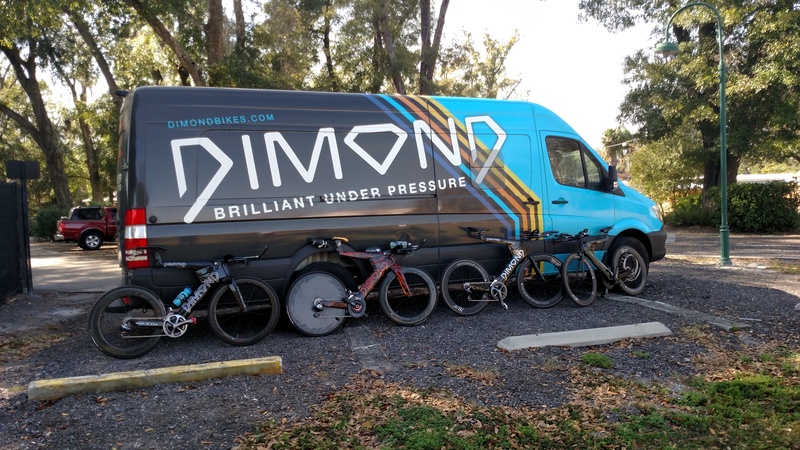 The Dimond boys, did they just drive from Iowa (I assume this is where the Van is based) and if so, are they getting on a barge in San Francisco to float it to Kona in November with Sammy Inkanen rowing the barge with the van (his FTP could probably handle it). Yes Ethan and Chris drove 1500 miles, with a detour to N Carolina to do some test rides. When I last checked, Chris was near Tampa doing some test rides, he's heading toward California for Oceanside. Here is the Dimond Van schedule. I'm just going to get some big corporate sponsorship and paint a Dimond Helicopter for UM Hawaii. There are several indoor training options with a Dimond. I also use a set of Inside Ride rollers (as well as various other brands of rollers), but I do most of my hard interval sessions on the Minoura Hybrid Roller: You just CANNOT use a fixed rear axle trainer with a Dimond. The Minoura has plenty of resistance for even the toughest sprints. I definitely get the rock star treatment. TJ himself turned up at mile 30 to do some cheerleading. Plus with Ethan and Chris there, it was like a team of soigneurs - I didn't have to even look at my bike after racing. They cleaned and tuned it up after each day. 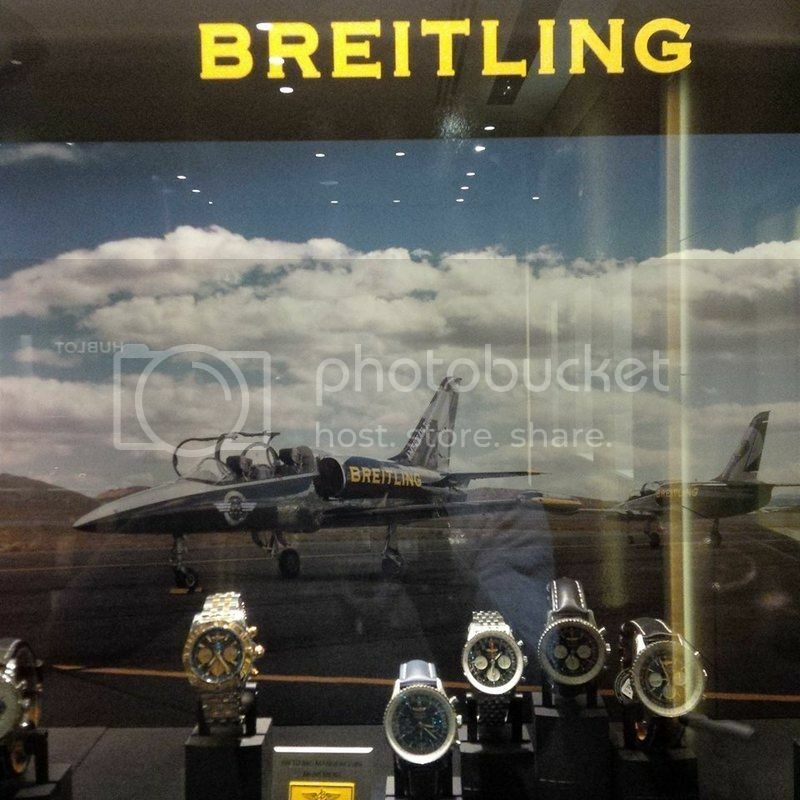 We would also need to get the Breitling guys to add a GPS feature to the watch that does not let the athlete run slower than 8 min per mile. OK, thanks for clarifying mate. Do you have a recommendation for a brand/source of maltodextrin and/or fructose? Do you have a recommendation for a brand/source of maltose trim and/or fructose? I just got mine from honeyville grains - $80 for 50 lbs - it never ends I still have left over from the tub I bought 4 years ago. Awesome race and win!!! This race is something I have been interested in over the last couple of years. I can only hope my body lets me build to this level in the next few years. In your response to question 11 you mentioned your liver and a blood test. Do you notice that your liver AST levels are "HIGH" during training? I tried to explain to my doctor the white papers on intense exercise causing HIGH AST levels that I have read but I am not sure he believes me so I am under going more testing now to rule out everything else. Which is the safest route but just curious if this is what you were referring too?? sure - it's simply 2/3 maltodextrin powder, 1/3 fructose powder, plus a juice (tart cherry juice or ginger beer) and then some water to get it to the desired consistency. For me that's about equal parts juice and water. I stick it in a blender, and I usually use warm water to make the powder dissolve easier. no - I really have no idea. I was just responding to Dev's question about how much time do I think my organs need to recover... honestly my organs are the last thing I've been thinking about... priority #1 has been trying to get my legs moving again! I literally could not walk up 2 stairs after crossing the finish line - my quads need some serious TLC. However, I do plan to do a full blood panel soon just to make sure everything is not out of whack. It's been about 18 months since I last did one. Internal organs are easy to forget about since you can't see or feel them. I am guilty of not even really thinking about them much. I feel that a good indication of how well our organs work is day to day recovery and energy levels (since it is hard to measure what they are doing). Organs are the factory that rebuild our bodies and keep everything in equilibrium. When they are exposed to the stress of heavy training blocks, they are either able to step up or the body breaks down. There is a reason why younger athletes recovery faster than older ones. I think that long after soreness is gone in the legs from racing, it takes some time for the organs to rebuild themselves. There is a reason why if you do an IM 2 to 4 weeks after the previous IM, we might feel fine, but by mile 10 on the run, "the legs are not there". I feel this is more because the organs just have not recovered and are not able to process all the waste on race day (even though the legs are fine). In an UM, how well the organs are doing should have a big impact on day 2 and day 3, but after day 3 you don't have to do anything, so would be curious how long it takes them to bounce back from that double marathon. Curious to hear your test results. ok, in that case, yes I feel it. I did a 2.5k swim on Friday and I felt a deep level of fatigue - beyond muscular fatigue - I could manage only about 200m into each interval before I had to stop and recover about 30 sec, then go again. Yeah, I am wondering if there is a means to measure that 'organ recovery'. I really don't think it is very simple. I have done hard bike TT's 14-17 days after an IM and nailed them but these were only 20-60 min. Not all the organs need to "perform' in such a short duration like they would need to in a half IM or full IM. It would be great if we could get some medical markers from blood tests that could tell us the "full picture" since muscle soreness goes away quickly and we can be duped into believing we are "ready to go again". Having done a few IM's where the second is 3 weeks after the first, I only felt the first IM when I got to around mile 16 of the run. And then the last 10 miles were quite a bit slower than they should be in a "fresh IM". I am not sure if this is all muscular damage from race 1 only. Do you use any other electrolytes or just what naturally occurs in the ginger beer, cola etc? I'm really intrigued with the idea of building my own drinks, since I have yet to find something commercial/affordable that I really like and that translates well to race-day nutrition. short of buying Salt Stick tabs and emptying them into drinks, I'm not sure how to reliably mix all the minerals without getting a chemistry degree first. Hey Jeremy - no I never use supplemental electrolytes during racing. I do eat foods with salt and potassium in daily diet, and I take a magnesium supplement at night. I subscribe to the Tim Noakes theory that the human body is pretty good at self regulating electrolyte levels without extra supplementation. I don't believe there is any harm in taking them, though. I did actually take one bottle of pedialyte during the Ultraman run - mainly to get a different taste but there is a good mix of electrolytes in that. If I wanted to add in electrolytes, I'd just pop a nuun tab into each bottle... pretty simple and no harm done. Rob how are things bouncing back? Did you do any uphill run test to the to of Mount Evans yet? Hi Dev - I'm feeling pretty good. The intensity is back but I'm keeping things short. Runs are a decent pace (7:00ish pace) but just 3-4 miles. Bike power is as good or better than before the race (but only riding about 90 mins max). Swims are a bit slower and I still get a bit tired about 200m into any set (so I just stop and rest). This week will probably be around 7-8 hours, and then next week I'm traveling for work, so probably just treadmill and weights. Then a full day of downhill skiing on Friday to give those quads a bit of a burn! The Mt Evans climb is definitely on the cards as soon as I have enough time and good weathr, but not to run... ! Running down Mt. Evans probably would not be much fun right now anyway! Why is the application deadline that early? First of all congratulations on your win and the execution of your race. And thank you for being willing to answer all the questions that pop up. I was following this thread from the beginning and most of the asked questions were in line with my potential questions. The one I have addresses your L/R power balance on the bike. I was looking at your power file form IM Arizona last year (I haven't seen your power file from UM FL) and I noticed that your L/R power balance was 45.4/54.6%. Was is it similar at UM FL? If it was, are you paying attention to it? Do you think having a power balance difference influences your bike and run performance? Thanks Boki - and it's a pleasure to answer questions. I just checked and yes my power balance was about the same at UMFL (around 45/55). But to be honest I didn't even look at that until you asked the question... so I guess that answers whether I'm paying attention to it or not! The reason I don't pay too much attention to it is that I've heard about a lot of people with my PM (power2max type S) reporting similar numbers (almost exactly the same 45/55), and I believe the LR is estimated, not actually measured on both legs. So I never look at it when riding, and very seldom during analysis after the fact. However, I'm pretty sure that my right leg is a little stronger than my left, I just don't think it's by that much... I think if I knew that I was measuring true R/L balance of each leg, I'd probably do some single leg squats on a regular basis to strengthen the left leg a bit more. Since you posted this Q, I quickly took a look at my LR power from IM Los Cabos 2013 (this was using a Quarq PM) and it was 49.2/50.8... which is reassuring that I may not have a huge discrepancy. I have 3 powermeters - Quarq, P2M, and PowerTap P1 (I bought this one less than a month ago). My L/R balance is also off but as you, I was thinking that crank based powermeters are not really accurate in showing a "real balance". But the P1 showed almost identical L/R numbers (unbalanced) and what is weird, my outdoor L/R balance seems a little bit better than my indoor one - the same bike and position. How is the body feeling? Around the same as a month after an IM? Better? Worse? Are your power levels back? Any aches and pains for running, or are you good to go? When do you start the IM Boulder training? Hey Dev - thanks for asking! 1. Body feels about the same as after an IM. Although I've really taken my time in terms of enjoying the stuff that normal people do over winter (like some skiing, chilling out, casual bike rides etc.) - I don't think I've done a workout over an hour - most are around 30 min. 2. Yes - power seems pretty good considering I haven't done a lot of riding. I have a local 11 mile loop that I did the other day and 270-300w felt pretty good. Funny enough, lower power levels on the trainer felt a bit harder than before (like 200w feels "solid" now, and before that felt "easy"
3. Funny you should mention that - sleep has been terrible. I wake up at 3am most days. 4. Surprisingly, weight has been stable. I didn't get on the scale for about 2 weeks now - I figure I'll eat what I want for a few weeks and then get more disciplined when I get back into real training. 5. no aches or pains - I did an 8 mile run last week and pace was pretty good - with no pains or aches - a good sign! 6. I'm thinking I'll start an 8 week high intensity block early April, for Boulder 70.3, then do a big volume block after that. Lastly, I'll probably do the blood panel next week. Will be interesting to see what comes back with that.